Hot off the heels of the trailer for Supergirl comes this new trailer for another DC TV series. They basically took some of the characters they've introduced from the two existing DC series (Arrow and The Flash) to form a new team of heroes and villains. It's the Atom, Captain Cold, Heatwave, Hawkgirl, Firestorm, and White Canary. 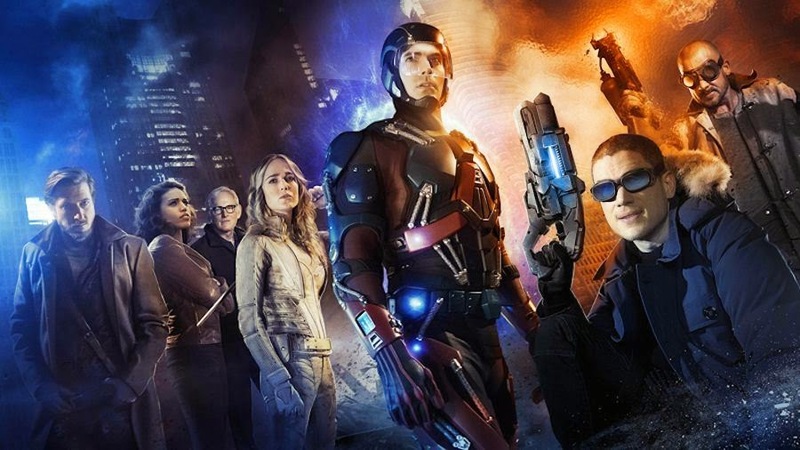 This motley crew is Legends of Tomorrow. Led by time traveller Rip Hunter, they'll be traveling time and space to stop an immortal evil warlord named Vandal Savage. Seems kinda goofy. So who's the other part of Firestorm? CW/WB is going all out with the success of Flash/Arrow. I have to say it looks better than the Supergirl trailer. (not that I didn't like it) Seeing Arthur Darvill as Rip Hunter, I can't help but conjure up Doctor Who references not being dropped on the show. Looks epic to me! And yes, better than the Supergirl trailer. Ronnie Raymond. He's not in this trailer, but he was in "The Flash" TV show, and will probably be in "Legends."